The Virb Elite has some nice features that make it stand out, but not necessarily stand above, other action cameras. Unless you need geotagging or ANT+ support, this might not be the camera for you. The Virb Elite isn’t a stylish camera: the rugged rubber design looks built to take a beating. The phone is 4.7 inches long, 2.2. inches wide, and 1.6 high, and weighs in at a hefty 6.2 ounces, which could make it difficult to strap to a mask or pair of goggles. 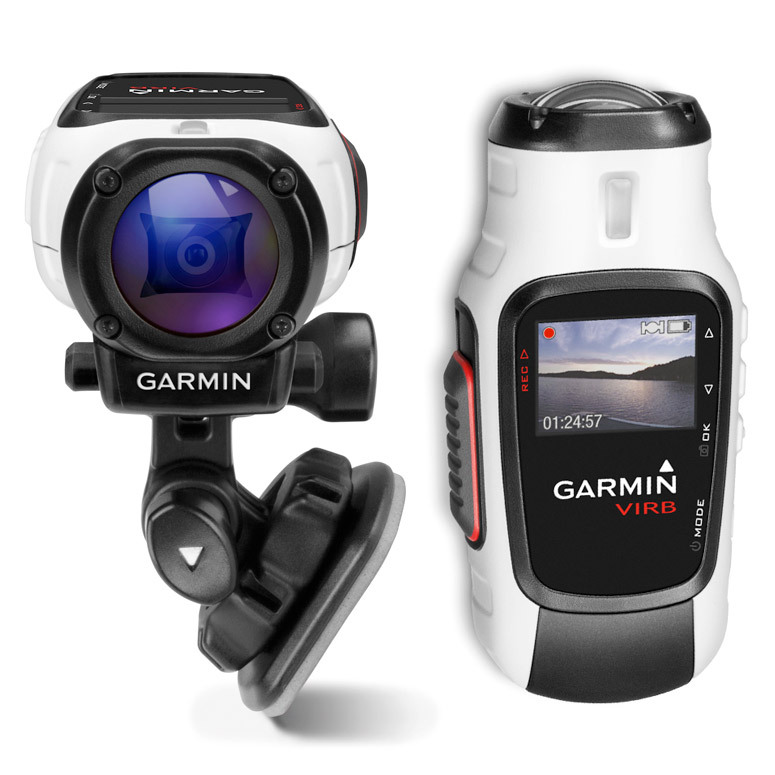 The camera comes with a built-in lens protector which can even be replaced through Garmin’s store. The Virb Elite features a 1.4″ Chroma display for previewing videos and images. Like the lens the display is resistant to impact. Oddly enough the display doesn’t provide a backlight, which Garmin probably sacrificed in exchange for batter life. It’s something you’ll want to keep in mind if you use the camera in low light conditions. The left side of the camera contains a single large sliding record trigger, while the rest of the controls are splayed across the right side. This includes the power button, navigation buttons, and an OK button which doubles as a snapshot button. The back of the camera houses the mini-USB and micro-HDMI ports, as well as the battery compartment and microSD card slot. The Virb Elite takes 1080p video at 30fps, 960p and 720p video up to 60fps, and WVGA video at 120fps. Pictures can be taken up to a whopping 16 megapixels (MP), with photobursts of up to 10 pictures a second at 8 MP. A time lapse feature will take pictures at intervals of 0.5 to 60 seconds. The video quality is what you’d expect from a premium action camera: the camera picks up plenty of detail and does a good job of reproducing colors. Low light images tend to look less sharp, however, though they won’t appear noisy like in other cameras. The camera features digital image stabilization and digital zoom, though both features can’t be used simultaneously. The Virb Elite will record 3 hours of 30fps 1080p footage before needing a recharge. While not as good as other premium cameras, it’s still a respectable runtime. The batteries are replaceable, meaning you can carry additional spares for particularly shoots. When the Virb Elite is in its element, it works well. The video is smooth even in high contrast areas. Details are crisp and clear, unless of course you take it into a low light area. The Virb Elite manages to cram in a GPS sensor, altimeter, and accelerometer, all of which are accessible through the camera’s Dashboard screen. The camera also supports ANT+, letting you connect it to another device to detect ambient temperature and even your heart rate. The camera itself is waterproof up to a metre. The Garmin Virb Elite is a functional action camera with few differentiating cameras. Despite its rugged design, it falls short of other cameras that are both lighter and more water resistant. One of the biggest draws of the Virb Elite is its ANT+ sensors, which will pair well if you use Garmin’s pedometers, body monitors, or sensors. Otherwise, you’re probably better off with the regular Virb.